Grandmaster Chess Move by Move, by GM John Nunn, 2005 Gambit Publications, Figurine Algebraic Notation, paperback, 285 pp. On the publisher information page immediately prior to the Table of Contents, it is quietly noted that this book was edited by Graham Burgess and typeset by John Nunn. I would surmise that seldom will you find the author of a book and its typesetter to be one and the same. On this same page, you’ll find that the Managing Director of Gambit Publications is GM Murray Chandler, its Chess Director is GM John Nunn, and its Editorial Director is FM Graham Burgess. The fascinating story of how these various elements converged is told in the eight-page epilogue entitled “Chess Publishing and the Batsford Story.” Any reader who has wondered about the world of publishing in general, and chess publishing in particular, will enjoy this brief history (and business) lesson. It explains how and why GM John Nunn took up chess typesetting and describes the birth of Gambit Publications. Of course, this all has nothing to do with the primary purpose of the book, which is to provide detailed annotations of 46 games and game segments representing the latter portion of John Nunn’s professional playing career. But it does shed light on why you might no longer be able to locate Batsford books to supplement those already in your chess library. 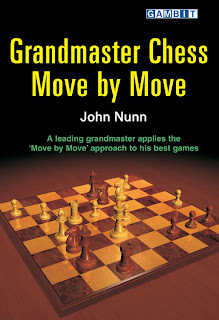 Grandmaster Chess Move by Move is somewhat of a sequel to the earlier Understanding Chess Move by Move, by the same author, published by Gambit in 2001. In the Introduction to the current book, Nunn expounds rather unkindly on the difference between his “Move by Move” books and the much earlier Logical Chess Move by Move, the 1957 classic by Irving Chernev that many of us grew up with. Nunn then demonstrates how some of Chernev’s explanations contradict others within the same book, and may even be questionable as to their validity. I must admit that the Chernev book holds a rather nostalgic place in my heart, so it may be difficult for me to be objective in such matters. In fact, I believe that Nunn himself provides an answer when he states, “Annotators generally prefer to explain things in general terms and indeed this can be very helpful to readers since a good general principle can be worth pages of detailed analysis.” As a beginner, I found much enlightenment from Logical Chess Move by Move, but I wouldn’t expect a seasoned player to spend much time with it. In contrast, Grandmaster Chess Move by Move utilizes a combination of clear explanations (i.e. “The only way to defend the e4-pawn”) and detailed variation analysis when the position calls for it. For example, the position below is the first diagram from the first game in the book, with White to move. 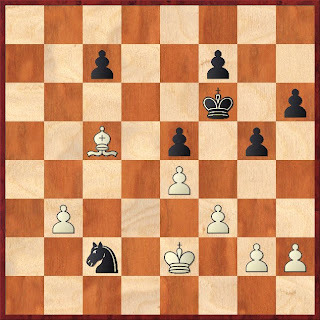 Nunn explains, “Material is equal, but Black’s knight is badly placed. At any moment White can force a pawn ending by playing Kd2, which obligates Black to reply …Nd4. However, it is hard to say whether the resulting pawn ending is a win. 37. g3! and Nunn provides further explanation. Accompanying each game is a snippet of information to place the game in context, and occasionally the reader is treated to a side of the author’s personal life that keeps the text from being just dry analysis. By themselves, the forty-six deeply annotated games are sufficient to make Grandmaster Chess Move by Move a worthwhile purchase (although in the interest of honesty, not every move is explained). However, Nunn follows these games with a series of 25 composed endgame studies and 18 varied endgame problems, primarily consisting of assorted helpmates. Problem #7 is a rather remarkable “White to play and mate in 24.” The reader is provided with detailed answers to each of the studies and problems. Nunn explains the mate in 24 as follows: “This problem was composed specially for a tourney which asked for the maximum possible number of consecutive corner-to-corner moves by a bishop.” Longtime visitors to the www.chessbase.com website are familiar with Nunn’s interest in unique compositions. 1. The “FIDE time-limit,” in which Olympiad games and world championship games are played at the relatively fast pace of 90 minutes for the game, plus a 30-second increment per move. 2. The changing rules and non-unification of the world championship (at least until 2006) . The “knock-out” system embraced by FIDE is viewed as a virtual lottery and thus many top players have been driven from participation. The final essay is entitled “Chess Publishing and the Batsford Story.” As noted earlier, this insightful article provides an insider’s view of the chess publishing world from a popular chess author. Nunn details the sometimes maddening issues of unrealistic deadlines, incompetent production, and delayed (or denied) payment. Frustrated by his experiences, Nunn eventually joined forces with Graham Burgess and Murray Chandler to create their own chess publishing company. 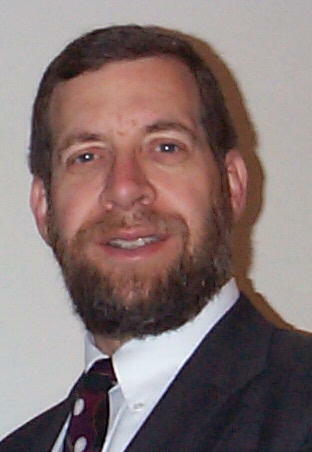 The result was Gambit Publications, which now has an extensive list of attractive and informative texts. Grandmaster Chess Move by Move is indeed one of them. For a complete list of Gambit Publications books, see their website. Wednesday evening, August 22, 2007, St. Louis welcomed GM Maurice Ashley to town. The nation's only African-American grandmaster comes to St. Louis nearly annually and typically provides a simul when he's here. During his last simul, two years ago, Maurice went 30-0 against his opposition. This year, 21 players signed up to play him, including about half a dozen kids. The simul went on for nearly four hours, and the GM didn't take a single break for a drink, snack or nature's call. He picked up steam as the evening went on and a few of the games began entering more advanced stages. There were times he paused for an extended period (i.e. one or two minutes) to consider a move, but frequently he would make his move practically in stride, on his way to the next board. I was getting tired just following him around, and all I had to do was watch and think about what move I might make in the given position. Maurice is a consummate gentleman and a positive role model for the chess community. We in St. Louis thank him for spending the time with us, and we thank Bill Wright for organizing the event, as he always does when Ashley comes to town. When making his first move, Maurice varied, opting for 1.e4, 1.d4, 1.c4 or 1.Nf6. I don't believe that any two adjacent boards shared the same opening. In game after game, Maurice took advantage of open files by doubling his rooks and creating havoc for his opponents. Later in the simul, as he began accumulating sufficient advantages, he would work to simplify into easily-won endgames instead of going for a quick kill that might not be justified. Other times, it appeared he would play "waiting moves," in anticipation that his opponents would slip up, at which point Maurice would be ready to pounce on the opportunity. Maurice told us that he has been working on a new book for beginners, that will be published by Gambit Books, and that a new DVD (Speed Chess 2) should be out around November 2007. He also indicated that he has signed a deal with HBO to produce a movie about the Raging Rooks team he has coached in New York. They have a rough target date of fall 2008 for its release. So how did this years' players fare? Well, no one managed to beat the GM, but two players, Ed Baur and Todd Plagemann, did draw Ashley. Congratulations to all the players who came out to meet Maurice Ashley, and to Bill Wright for arranging the rather last-minute simul. We look forward to the next simul next year. It starts out so simply: In the first move, White is limited to twenty options. Black has the same twenty possible moves with his first response. But with chess, the number of legal moves is only a small part of the equation. Because while there are only forty possible first moves per pair of players, there are actually 400 possible board positions inherent in those moves. 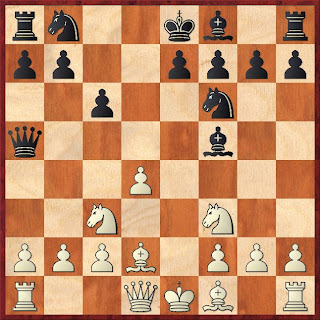 That's because for every one of White's twenty moves, Black's response can lead to twenty separate positions. To the outsider, the distinction among all these early board positions may seem negligible, but the seasoned chess players knows from hard-won experience that every such variation is crucially distinct, that the dynamics of the game depend entirely on the exact position of the pieces. 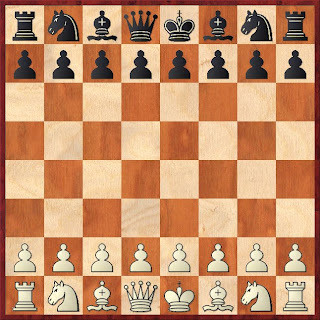 In the second move, the number of chess [positions] shoots up almost past belief; for every one of those 400 positions, there are as many as 27 options that each player has for a second move...the total number of distinct board positions after the second complete move is 71,852. After three moves each, the players have settled on one of approximately nine million possible board positions. Four moves and it raises it to more than 315 billion. The game has hardly started and already we are into hundreds of billions of game sets. Now you can understand why you may feel just a bit overwhelmed at times! Well, I haven't been able to post regularly in awhile, since my laptop has been quite sick. I'm hopeful that Dell can bring it back to life soon. In the meantime, don't miss my latest Scholastic Chess column at ChessCafe. It includes a number of interesting games, in particular the eighth-round game from the 2007 U.S. Women's Championship between Alisa Melekhina and Elizabeth Vicary. What is especially interesting about the game is that both players annotated it for our readers.